Shenandoah National Park is open year-round, although portions of Skyline Drive, the National Scenic Byway that winds through the park, may be closed temporarily during and after periods of bad weather because of road conditions. Most facilities close during November and do not reopen until late March or early April. The park is divided into three administrative sections. The north is quickly accessible from the Washington D.C. area and receives the most visitors. The central section has the park’s primary overnight accommodations and the most long-term visitors. The south has beautiful backcountry and fewer facilities. 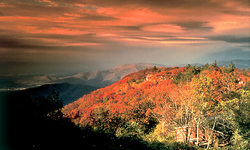 Escape to Virginia’s Blue Ridge Mountains. Features Include: hiking, camping, cabin rentals, fishing, horseback riding, and bird watching. 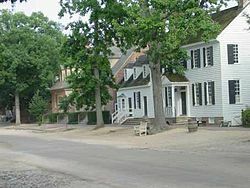 Mariners’ Museum, U.S. Army Transportation Museum, and Virginia Living Museum.